Small announcement: CFF Explorer was started as a side project many years ago. While I may release few bug fixes from time to time, it is not going through radical improvements. If your organization needs professional PE inspection (not editing), then you might take a look at Cerbero Profiler (the commercial product of my company), which properly supports many file formats beyond the complete Portable Executable specification. 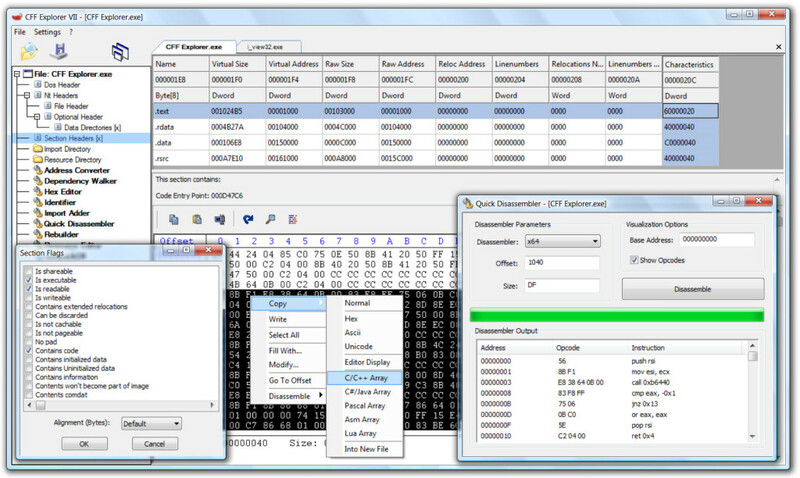 CFF Explorer was designed to make PE editing as easy as possible, but without losing sight on the portable executable’s internal structure. This application includes a series of tools which might help not only reverse engineers but also programmers. It offers a multi-file environment and a switchable interface. Also, it’s the first PE editor with full support for the .NET file format. 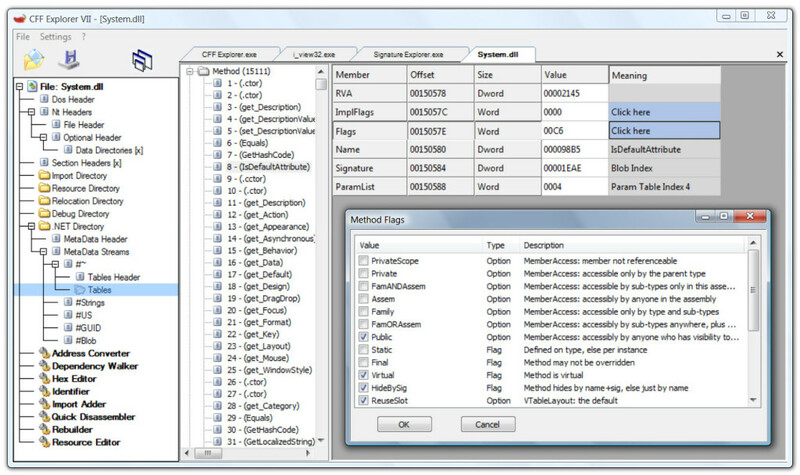 With this tool you can easily edit metadata’s fields and flags. If you’re programming something that has to do with .NET metadata, you will need this tool. The resource viewer supports .NET image formats like icons, bitmaps, pngs. You’ll be able to analyze .NET files without having to install the .NET framework, this tool has its own functions to access the .NET format.